A lot of us stay on the go all of the time and thats what seems to be the reason we just can’t stay on top of our nutrition or fitness routine. I wanted to come up with a list of my go to snacks, workout gear, and gadgets that I like to use to help me stay on track and hopefully can help you too. 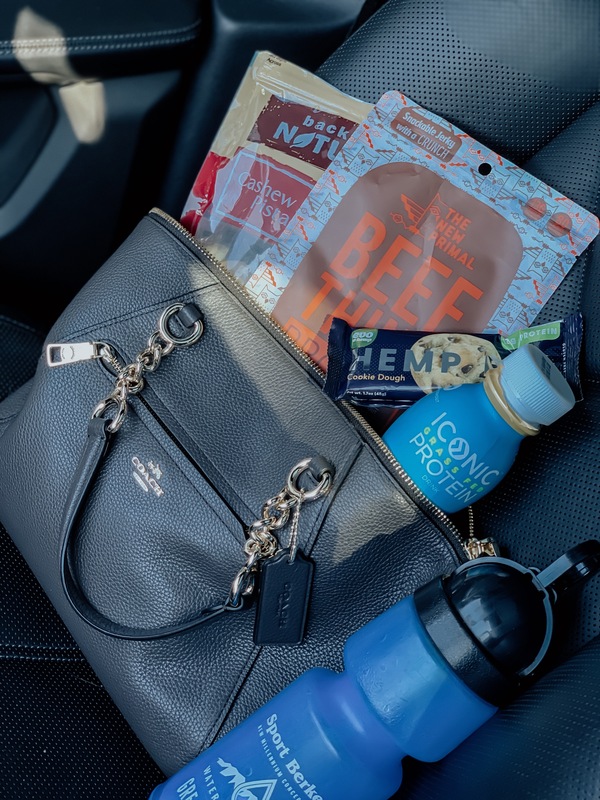 All of these items are suggestions for you to continue a healthy lifestyle when on the go, whether it be just a usual day of riding in the car back and forth to work, at work, or if you are traveling to stay in a hotel. My hope is that this helps you to save time and have a sense of convenience to keep you on track.